Solar energy development has skyrocketed in recent years, but many people who want to use solar energy aren’t in the position to harness the power of the sun where they reside. Renters, apartment dwellers, condominium owners and people with shaded roofs are largely left out of the solar revolution. Enter community solar farms. This new ownership structure is making solar power available to people who couldn’t access it before. Community solar installations, also known as solar gardens and solar farms, increase the advantages of owning a solar system and extend the reach of solar power to more people than ever before. What Are Community Solar Farms? Solar gardens are renewable energy plants owned by a community of people or a company. This arrangement allows a group of people to use solar electricity that is generated in their area without installing the photovoltaic panels on their property. In many instances, the electricity from community solar farms costs less than what residents and small businesses would otherwise pay the electric company. Solar gardens are a relatively new ownership arrangement that enables more households and businesses to benefit from solar energy. They use virtual net metering and are increasing in popularity in many states with supportive policies. Who Owns Community Solar Farms? There are two main ownership models for community solar farms. In ownership-based projects, an individual, organization or business owns a percentage of the solar farm and has a stake in the asset. Prospective members join the project by buying or financing a certain number of panels in the solar installation. The electricity generated from the share cannot significantly exceed their electric consumption. If an individual or business moves within the same utility district, they can apply the electricity generation to their new address. If someone moves out of the utility district, they can sell their interest in the solar farm to a new member. Alternately, subscription-based projects are owned by a third party. Participants in this solar farm model pay an administrator or utility company for the solar electricity they consume, often at a lower rate than what they would normally pay. The third party receives the tax credit and the participant payments. Where Are Solar Farms Most Popular? Community solar farms can be found in more than half of U.S. states, with Colorado, California, Massachusetts and Minnesota expected to lead the way in new community solar farm capacity. Many states anticipate more community solar farm installations — especially if those states have supportive policies and initiatives. Want to join a community solar farm in your area? 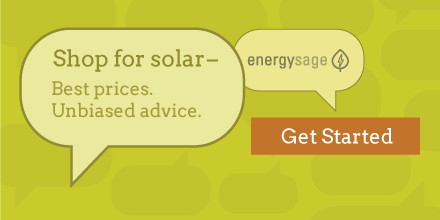 Find out about community solar projects near you!